Back in October of 2013 a young trio of Jazz musicians announced that they will be playing their last concert before retreating to the studio to put the finishing touches on their debut record. The band in question is Timisoara’s own JazzyBIT and the record would become Touch the Sky. I attended the aforementioned concert and was very impressed with their performance about which I then wrote an article. I finished the article stating that I was counting the days until Touch the Sky hits the shelves, which will be February 2nd of this year, when the band have also planned an album launch concert. Meanwhile I have had the honor of being invited to host said concert and I have also been fortunate enough to receive an advance copy of Touch the Sky for review. Ever since I’ve laid my hands on it six days ago, I’ve been playing it over and over again. I went on record with great words of praise for their performance in October and they are no-doubt a great act to catch live. My main concern for this album, especially because it is a debut work, was whether the band would be able to capture the high energy and vitality of their dynamic live gigs or if the recording process will have toned-down that key aspect of their music. But let’s start from the beginning. The record consists of ten tracks, a generous sixty minutes of entirely original compositions. That in itself is already an admirable quality from a band of such youthful musicians (none of the band members is over thirty years of age) and it makes me happy, especially in a year where three of the ten records up for a Grammy in the vocal and instrumental jazz categories are tribute records or cover albums. Again I find myself thinking back to my conversation with Al DiMeola who said that, with an abundance of great musicians there is an unfortunate shortage of good music which he attributed to the fact that the young guys just don’t write as much music as they should. Well, JazzyBIT do and I think it’s a sign of great courage and self-confidence. I recognized each of the songs from their gigs and, regarding my concern about capturing that live-performance-feel, I was happy to ascertain that if I closed my eyes I could easily imagine being at one of their shows. Again, a major argument in favor of the record. Touch the Sky starts off with the title track, one of the more subtle and toned-down songs. In this situation, choosing this song to open the album was a bold and risky move. Being a debut work it would have definitely been tempting to come out swinging from the start with one of the rhythmically faster and instantly catchy Latin-influenced songs like “Curacao”, “Tumbao” or “Ocean Wave”. For an explanation as to why that would have been a safer approach I invite you to read this article , specifically the part with guitar-player Paul Kogut’s explanation about the relationship between “hitting the audience with a concise statement from the start” and getting airplay. Instead, JazzyBIT chose to forgo the safe approach in favor of constructing a coherent narrative. “Touch the Sky” is not a track that will instantly hook you like the aforementioned ones, its strength lies in its melodic subtlety and its structural balance. It is definitely the right choice as a starting point for the story this record is trying to tell and as a writer and a storyteller, it is a choice I applaud. Speaking of stories, the album continues with “Story of the Heart” which is the song that best encapsulates the defining elements of JazzyBIT’s personality. Those elements are the band’s speed and virtuosity, their feel for pure melody, the Latin sound that is the most accentuated in their work and especially the key factor – the fantastic interplay between the musicians. After seeing them live I wrote “you have a fresh and energetic band that plays like a veteran act” and that aspect of their music has been well-captured on the album. Touch the Sky is well-balanced, reflecting the relationship between the musicians and all three of them get wonderful opportunities to shine throughout. “Winter Town” is a great example of a song that highlights each band-member’s individual talent (Mihai and Teo get some great moments in the spotlight on this one) while at the same time accentuating the intuitive way in which the band manage to play off each other. Songs like “Curacao”, “The Chase” and “Tumbao” are the instant charmers, songs that hook the listener on a basic level, with catchy rhythms (Csongi’s percussion is just insane) and lively melodies (kudos to Teo’s piano), and also with an extra spark of humor, which is so incredibly difficult to successfully capture in music (just ask Erik Satie). Meanwhile, profound and contemplative ballads like “Poate de ce”(“Maybe Why”) and “Sus in Pod” (“Up in the Attic”) cover the other end of the musical spectrum. Though it’s hard to pick a favorite “Sus in Pod” is probably the song I enjoy the most because of the haunting piano melody at the beginning (and end), Teo’s intense Hammond playing in the middle (I don’t know if I’m just imagining this but Teo seems to have the most fun on the Hammond) Mihai’s smooth bass in the later stages and generally because it’s an all-around tour-de-force of masterful playing by every member of the band. But it’s a toss-up because every track is wonderful in its own way and each song offers something to love demonstrating a very even and cerebral grasp on writing music especially for a debuting band. The record closes off with the tandem of “Ocean Waves” and “Two Souls” two witty and well-rounded songs that leave the listener with a feeling that this album, in its entirety, has not missed a single beat. Everything is in its place, everything makes sense and Touch the Sky doesn’t seem to have one hair out of place. There is little more you can wish for in a debut work. With wholly original music that doesn’t wear thin after repeated listening (and I must have heard it now over a dozen times) Touch the Sky is a solid debut album from a band that sounds wise beyond its years. 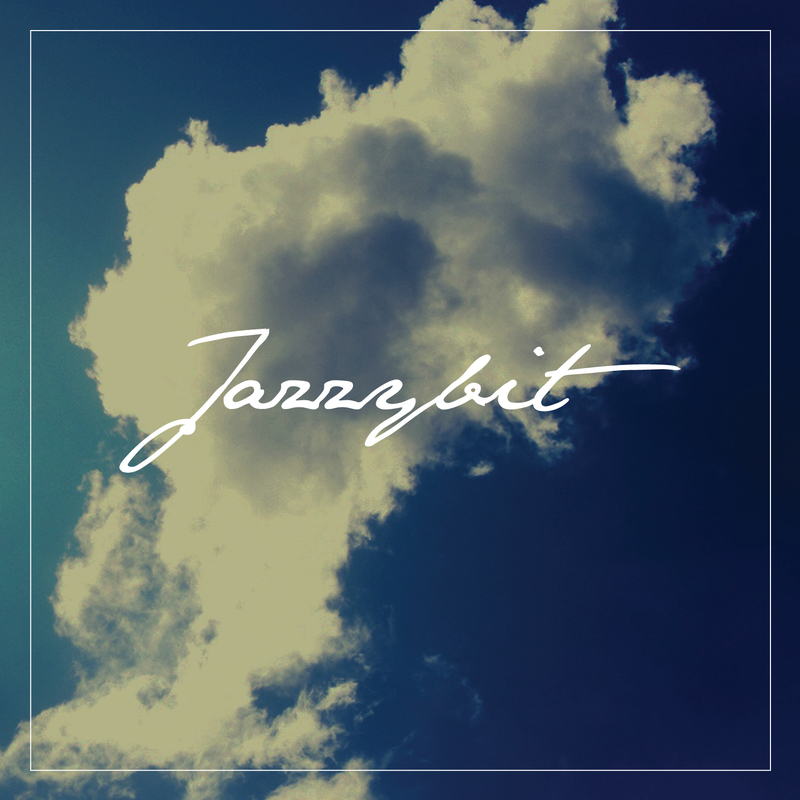 Now at the beginning of their musical journey it is difficult to say whether JazzyBIT as a band will stand the test of time but one thing is for certain: if their ambition for their first musical outing was to “touch the sky” they can rest assured that the quality of their debut work will catapult their name far beyond the stratosphere of Jazz.